Indochine is one of the fancier Vietnamese restaurant in Box Hill, it’s definitely an upgrade from the white sticky tables and screechy chairs in some other places close by. 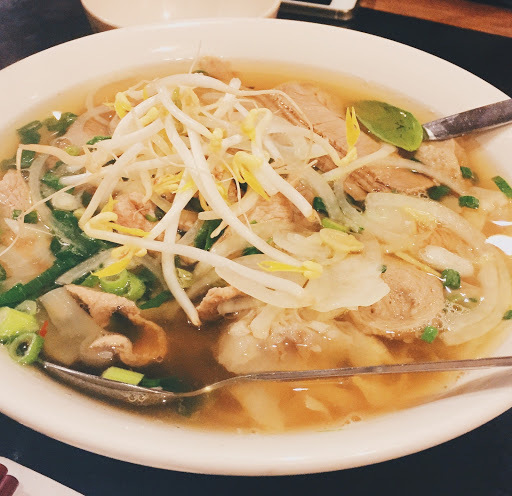 Fresh slivers of onion and chopped up spring onion sit atop a pile of pieces of chicken and beef, beef balls, and various offals, such as tripes, chicken heart, tendon, and hiding beneath all the topping are some perfectly cooked rice noodle. The flavour of the soup was not full as some of the others I’ve tried, assuming that it’s been tweaked to serve a wider range of customers. 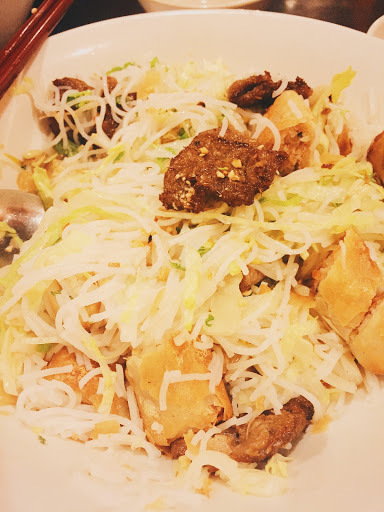 A bun is pretty much like a noodle salad. The beef had some nice char marks, and the sweetness of the lemongrass that it was marinated in was very strong. Pour some nuoc mam and mix everything together with a pair of chopsticks, and you have yourself a filling yet light salad. 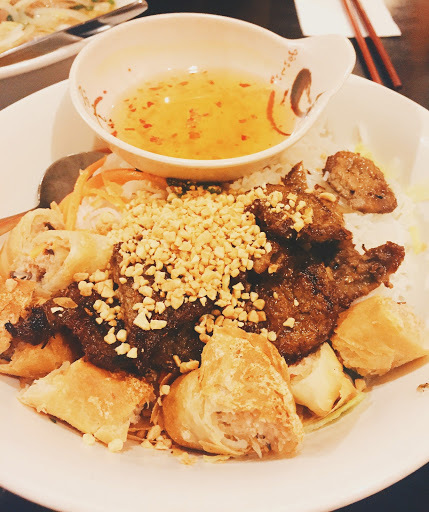 The nuoc mam is on the sweeter side of things, but the spring rolls added some nice crunchy texture to the dish. 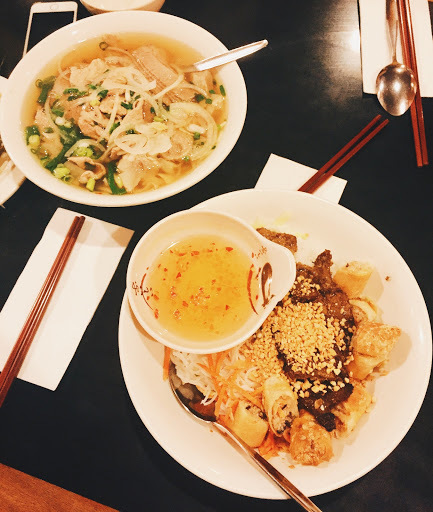 Indochine is a classy Vietnamese restaurant, but the price is still quite budget-friendly. 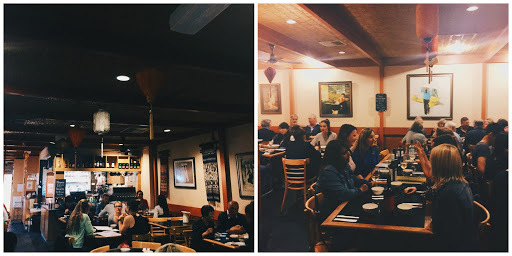 The menu is very extensive, with a bunch of other Asian cuisine mixed in as well, so if you wanna take a group of friends out to try out some Vietnamese food other than pho and broken rice, this is the place to be! Indochine is located on Carrington Road, just outside of Box Hill Shopping Centre.